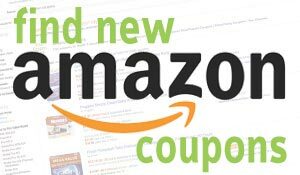 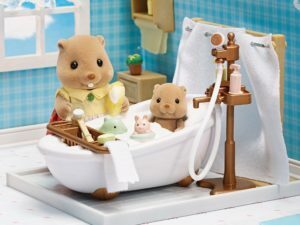 Calico Critters Deluxe Bathroom Set is now available at Amazon.com for just $15.29 (REG $27.99) (As of 07 February 2019, 20:04 PST – Details) with $12.70 (45%) Savings. 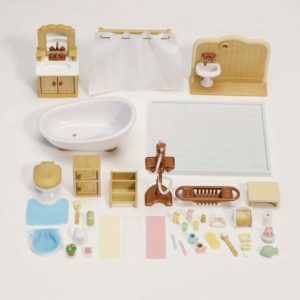 More than 30 detailed accessories including a bath tub, shower stand with removable shower head/sprayer, curtain rod and shower curtain, cabinet sink with mirror and double cabinet doors, toilet, hand sink with wall, floor tile section, storage cabinet with 2 doors, step stool, shower caddy, toilet roll holder, back brush, tub toys, towel, rug, toilet seat cover, toilet brush, 2 toothbrushes, 2 cups, soap bar and more!. 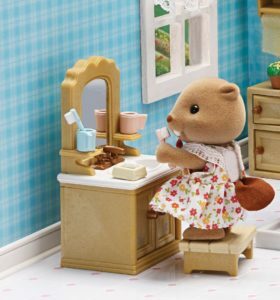 Designed to furnish the Calico Critters Homes (sold separately). All furniture is 1:24 scale and is proportional. 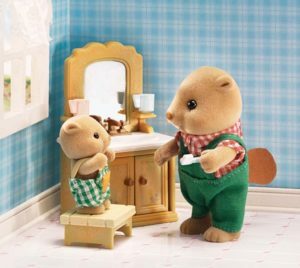 Calico Calico Critters sold separately. 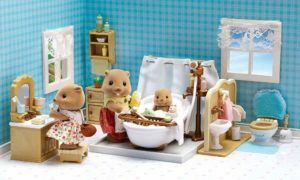 Mix and match with other Calico Critters play sets to create a whole Calico Critters village!.